As the medical and mental health facilities in Grand Rapids grow in reputation and in specialties offered, so does the need for lodging of patients and their families. "These families are facing unimaginable stress and it's our mission to provide them a “home-away-from-home” at no cost." stresses Patty McCormick, Development Director of Ronald McDonald House of Western Michigan. As the medical and mental health facilities in Grand Rapids grow in reputation and in specialties offered, so does the need for lodging of patients and their families. 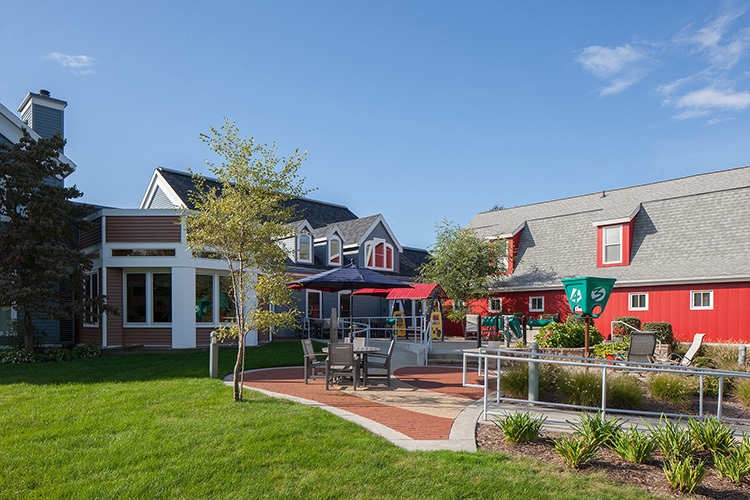 "These families are facing unimaginable stress and it's our mission to provide them a “home-away-from-home” at no cost," stresses Patty McCormick, Development Director of Ronald McDonald House of Western Michigan. Rapid Growth: What led you into the role of Development Director at the Ronald McDonald House of Western Michigan? Patty McCormick: I started my career in marketing and advertising with Procter & Gamble and Ogilvy & Mather. After a long “sabbatical” to raise my three children, I returned to work as the Executive Director of a wonderful non-profit in my former home state of New Jersey. When I moved to Grand Rapids with my husband, this role at the Ronald McDonald House of Western Michigan offered a great way to use all my skills and channel my passion for helping families and children. RG: How was it transitioning between the for-profit and not-for-profit industries? PM: I think the skills needed in my for-profit work (communications, marketing, financial management) are equally critical in my non-profit roles. The opportunity to work with an amazing mission and see the lasting impact one can make for families in need is truly humbling. RG: What are some surprising things you’ve learned about RMHWM since you first started? PM: The gift of togetherness that is provided to a family through their stay at the House, close to their child who is facing serious medical or mental health challenges, is invaluable. The boundless energy and unwavering dedication of the volunteers who help ease the stress facing our guest families is awesome to witness. And the overwhelming gratitude of the families who stay here is humbling. RG: Are there any other organizations within the Grand Rapid community providing similar services? PM: Similar, yes. 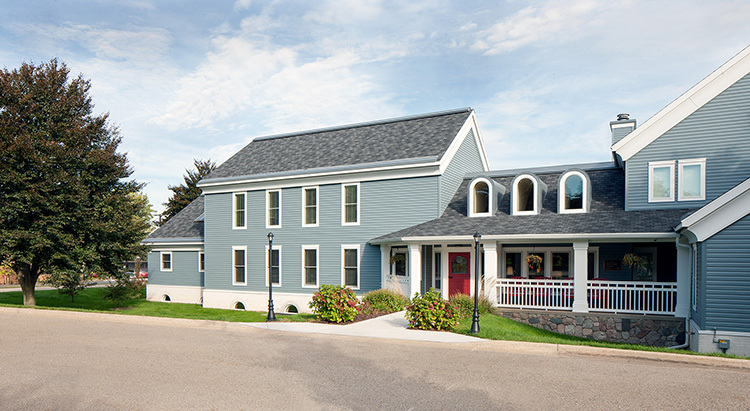 Though the RMHWM is the only hospitality house focused on children and adolescents and at no cost. The House is also the only hospitality house option for families coming to GR for mental health treatment. Spectrum’s Renucci House, Sophia’s House at Mercy Health, and The Inn at Mary Free Bed also offer lodging at a nominal cost. That being said, all hospitality houses are generally operating at full occupancy and the need for lodging of patients and families is growing as the medical and mental health facilities here grow in reputation and in specialties offered. RG: Why is it so difficult to find housing for mental health patients? PM: Our amazing mental health facilities here in Grand Rapids do not have their own dedicated hospitality houses. RG: What are your admissions based on? PM: The two requirements to stay at the RMHWM are (1) the patient in treatment is 21 years or younger and (2) the family lives 30 miles or further away from their treatment here. In a waitlist situation, priority is given based on distance rather than diagnosis. RG: What makes the Western Michigan House so special? PM: The full focus of the RMHWM is on the families who stay here. These families are facing unimaginable stress and it's our mission to provide them a “home-away-from-home” at no cost. It allows them to spend all their time and energy on what matters most — taking care of their children. RG: What sort of activities do your volunteers help you with? PM: Everything and anything! Our 19,000 square foot house on five beautiful acres and the needs of our 17 guest families provide a wealth of opportunities to help — through housekeeping and laundry (check out our Families Helping Families program to volunteer as a family with your young children) to projects in the yard to nightly meal-making to activity nights. A great way to help is also to volunteer as a shuttle driver, taking our families to and from the hospitals and facilities where they spend their days with their children. To learn more, call us or come for a tour! RG: Have there been any unexpected challenges you’ve had to face as Development Director? PM: The perception that the RMHWM is fully — or significantly — funded by McDonald’s is challenging when raising funds. RMHWM is a separate, non-profit 501(c)(3) corporation from the Ronald McDonald House Charities. RMHWM raises 100 percent of its annual operating expenses, and 100 percent stays local. The McDonald’s system is our largest corporate partner and the Ronald McDonald House Charities of Outstate Michigan is our largest grant funder. RG: Are there any plans for expanding the house’s capacity in the future? PM: Along with our medical and mental health referral partners, our Board and the community, we are reviewing the growing need for lodging of families coming here for their child’s treatment and how best to meet that need.